Unbelievable! In Trillo, Spain, there is a waterfall flowing through the middle of town. 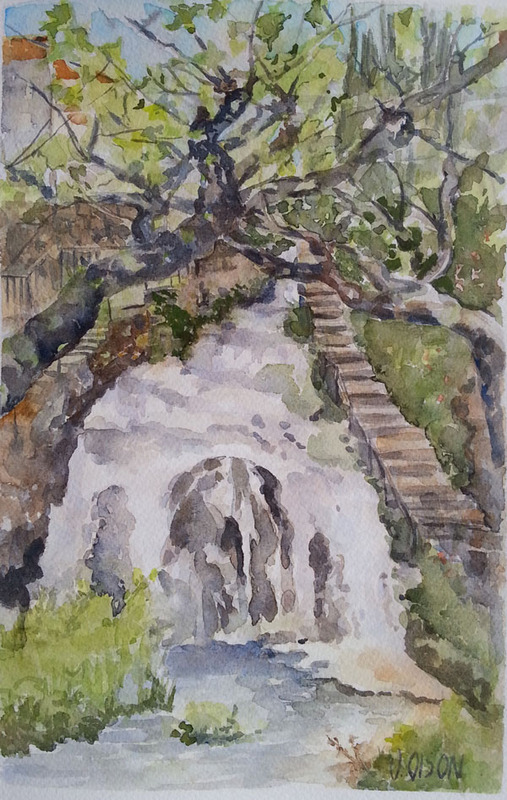 I went there on Saturday with the Watercolor Group of Madrid. This was my set up and perspective. We were a group of 28 watercolor painters. It was so much fun. After our painting session, we all had lunch at a restaurant called Casa de David. The food was absolutely delicious! 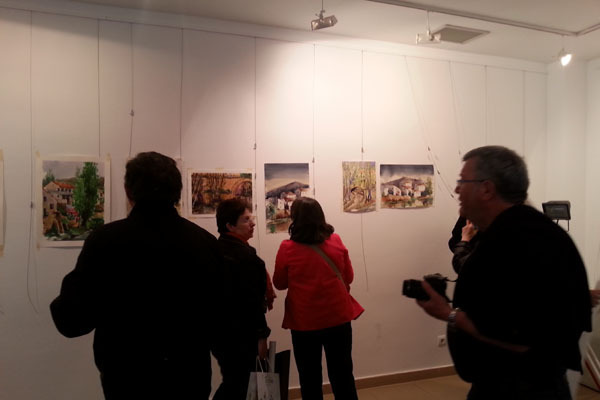 Then the City Hall of Trillo invited us to hang our paintings in the Cultural Center. It was a fun day. I can’t wait for the next out-door painting excursion! 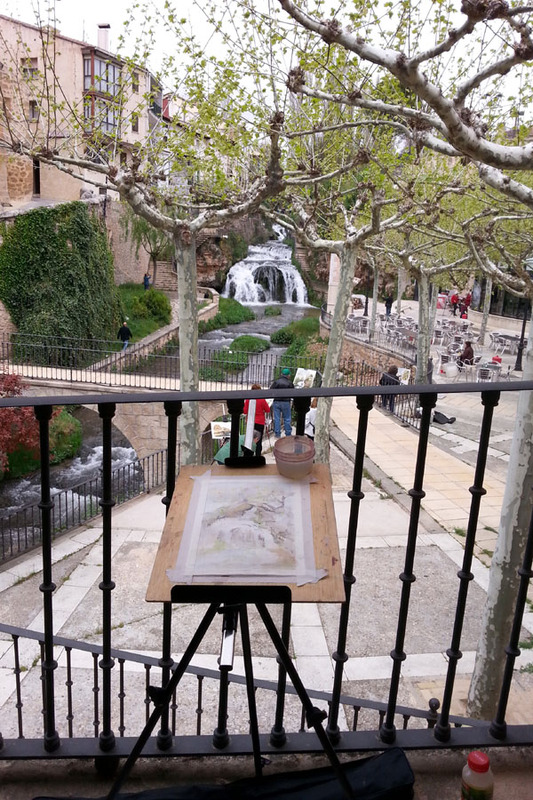 This entry was posted in Agrupación de Acuarelistas de España en Madrid, Fine Art, Landscape, Open Air Painting, painting, Spain, watercolor and tagged #AgrupacionDeAcuarelistasDeEspañaMadrid, art, Art Making, Fine Art, Landscape, open air painting, painting, Spain, Trillo, watercolor. Bookmark the permalink.